Even though Joe Calloway has been inducted into the International Speakers Hall of Fame, he does not think of himself primarily as a speaker. “My job is understanding business today, not giving canned speeches about what worked yesterday. To help my clients achieve success I have to know where the marketplace is and, more importantly, where it’s going. Companies hire me to provoke thought, spark creative thinking and bring a fresh perspective to the table”. 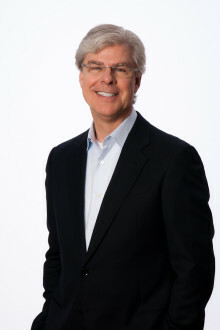 As a nationally recognized expert on competition and customer service, Joe’s clients include IBM, AT&T, BMW, Rollerblade, Radisson Hotels and RCA Records. Joe has presented for and consulted with hotels in Great Britain, newspapers in Scandinavia, the travel industry in Italy and high-tech companies in South Africa. Sales And Marketing Management (May 2000) called Joe Calloway “an expert on building customer-focused teams” and his speaking style has been described as “part Tom Peters, part Will Rogers and part Robin Williams”. Joe is a partner in three companies, including Hometown Productions, a feature film company, Mirror, a very hip restaurant in Nashville, TN and Legacy, a marketing firm specializing in branding, employee retention and customer service issues. Joe is an author (Focus On The Customer, Market Leadership, Revival), and business video producer (Positive About Change, Focus On The Customer). Joe’s new book, Becoming A Category Of One, has been released by John Wiley & Sons. Joe believes in straight talk about what works in today’s marketplace. His keynote presentation, Taking It To The Next Level, is a dynamic audience-participation motivational look at the best practices of companies that sustain high performance in a world of constant change. Joe’s presentation has been described as “…a hard-charging, high energy, cut-to-the-chase look at what really works in business”. Don’t strive to be a leader in a category. Create a separate category and be the only one in it. That’s true differentiation. This presentation offers compelling, practical strategies for businesses looking toward success as a soft economy and market uncertainties meet an intensely competitive environment. Your brand isn’t your advertising or your logo. Your brand is created by your people and every experience, good or bad, which they create with customers. Learn how extraordinary companies of all sizes become the brand of choice in their market. Some companies talk a good game of “exceeding the customer’s expectations”, but precious few actually deliver. Today’s customer has higher expectations than ever before and the bottom line in business is this: make the customer happy – bring the customer back. It’s a total team effort that requires the commitment of everyone in the organization. Continuous improvement depends on critical success factors, including a willingness to embrace change, leadership that creates a shared vision and the ability to constantly find new and better ways to create value. Do you want to hire Joe Calloway? Directly request a quote. In 48 hours we can send you the availability of Joe Calloway If you would like to book Joe Calloway, Entertainment Booking Agency is the right place. We will offer you the best price and contact the management or we directly contact Joe Calloway. For corporate appearances or speaking engagements you can contact our agents and the will help you true the process. Tags: hire Joe Calloway, Joe Calloway booking, book Joe Calloway, Joe Calloway appearances, find more information on booking Joe Calloway for appearances, Joe Calloway speaking engagements, Joe Calloway endorsements/spokesperson, Joe Calloway appearance fees, Joe Calloway booking agency contact info, biography of Joe Calloway, Contact an artist booking talent agent find a speakers bureau that can book Joe Calloway, speaker booking agency for Joe Calloway, Joe Calloway booking agency, Joe Calloway booking for corporate event. EBA is one of the biggest entertainment booking agencies in the World. We book hundreds of celebrities, artist, athletes and speakers in a year. Important to know is that we are not claiming to be the management of Joe Calloway. We are not the official agent for Joe Calloway. Companies from around the globe book these artists and speakers true our company be course we have one of the biggest networks and we always have direct contact with the artist or the management. We help you to find the right celebrities for your corporate of private events. Please contact one of our agents to get free advice and we will help to get the world-famous artist on your party.